The Canine Good Citizen Program or CGC course, was established in 1989 by the American Kennel Club to promote responsible dog ownership, and reward our dogs for being well-mannered and demonstrating good manners (Pet Etiquette). There is a 10 step test and evaluation given (see below) and all dogs who pass, receive a CGC certificate and the honor of adding CGC to their title. 1. Accepting A Friendly Stranger – Your Miniature Schnauzer must not show any signs of resentment or shyness when the evaluator approaches the dog and handler to exchange pleasantries. 2. Sitting Politely For Petting – Your Miniature Schnauzer must stay in a sitting or standing position and allow the evaluator to pet his head and body. 3. Appearance and Grooming – Your Miniature Schnauzer must demonstrate that he welcomes being groomed and physically examined. This is done by the evaluator checking the dog over or performing a quick overall examination along with a few grooming practices, like combing the dog. note: Owner/handler is responsible for bringing a comb or brush to the CGC test. 4. Out For A Walk (walking on a loose lead) - This exercise demonstrates that you or your Schnauzer's handler is in control. The evaluator directs the handler to walk and your dog should respond to the handler’s movements and changes in direction by their side. You will then be given instructions or commands for a right turn, left turn, and an about turn, with at least one stop in between and one more at the end. 5. Walking Through A Crowd - This test demonstrates that your Miniature Schnauzer is able to successfully maneuver politely about in public places and is under control. The dog and handler must walk by at least 3 people, and although the dog may show interest in the strangers, there should be no evidence of shyness, aggression, or any other undesirable behavior (like jumping up on people). Your Miniature Schnauzer should continue to walk with his handler. 6. Sit and Down on Command and Staying in Place - The handler must command the dog to SIT / DOWN. Once in either position, the handler commands the dog to STAY as he walks 20 feet away from the dog. Your Miniature Schnauzer is to stay until the handler releases him from the position.note: A 20 foot lead will be provided by the evaluator that is attached to the dog. 7. Coming When Called - The handler instructs your Miniature Schnauzer dog to stay or wait, walks 10 feet away, turns and faces the dog and then calls him to come. 8. Reaction To Another Dog - This test demonstrates that your Miniature Schnauzer dog can behave politely with other dogs. To demonstrate this, 2 handles and their dogs approach each other and exchange pleasantries. 9. Reaction To Distraction - 2 different distractions will be presented to your Miniature Schnauzer, where he should remain confident and although he is allowed to show interest, he should not bark, panic, or show aggression. Types of distractions the evaluator may use are dropping an object that makes a loud noise, rolling a noisy cart by the dog, or having a jogger run in front of the dog. 10. Supervised Separation T- his test demonstrates that your Miniature Schnauzer dog is capable of behaving when left with a trusted person. Evaluators will take hold of the dog’s leash while the owner goes out of sight for 3 minutes. All CGC tests are performed while the dog is on leash. 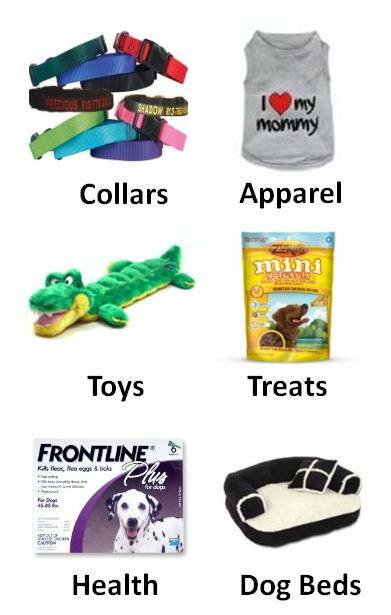 Pinch collars or special training collars are not allowed. Owners or handlers are allowed to encourage and praise their dog throughout the test. But food and treats are not permitted (nor the use of toys or any other reward to get the dog to do something). Dogs that growl, bite, or attempt to attack a person or another dog are dismissed from the test. If your Miniature Schnauzer passes the 10 objectives, you, the handler can apply for a Canine Good Citizen Certificate and a special CGC dog tag from the AKC. All canines are welcome to try out... i.e. Dogs do not have to be registered with the AKC or be purebred to earn a Canine Good Citizen. The goal of the Canine Good Citizen Program is to promote good manners and citizenship for all dogs. 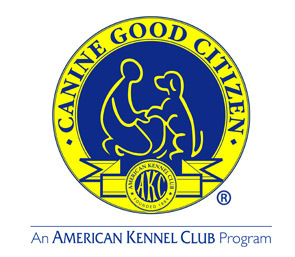 The AKC Canine Good Citizen Program brochure outlines the test and the 10 skills needed by all well-mannered dogs; an explanation of the AKC-CGC Program; How it Works; and a copy of the AKC CGC Responsible Dog Owner’s Pledge.